The goal of a resume is to showcase your most relevant skills and experience, based on the job description or target opportunity. Ideally, these qualifications come through loud and clear in your Experience, Skill Sets, and Training. Something job seekers may not realize is that most job descriptions are more of a “wish list” of attributes, a framework for the perfect candidate, and not necessarily a must-have checklist. Most people will have some of the qualifications, and other attributes that – while not required – position them as a strong candidate for the role. What skills or attributes should you highlight on your resume that can bring additional value, even if they’re not directly related to the position? 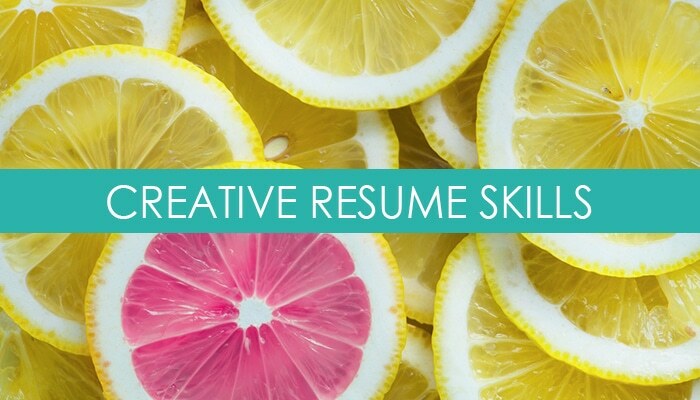 A good resume is all about highlighting directly relevant skills and experience, while also showcasing the factors that set you apart from other candidates. Those factors will vary based on the candidate, the industry, and the job. Read the job description for the role, envision the ideal/typical candidate for the role based on what they’re looking for, and then figure out what ELSE you bring to the table that’s unique. How does that add value, why is that important? Outside Leadership Experience. Something like an Eagle Scout designation is impressive to highlight because it’s extremely difficult to achieve and requires significant commitment and leadership skill. Unique skills that speak to your personal qualities. I once highlighted a candidate’s Sommelier certification as it’s a notoriously rigorous test (that most people don’t pass on the first try), and that requires an incredible ability to memorize a high volume of detailed information. Entrepreneurial (Consulting & Freelance) Experience. This can go both ways, but someone who has experience starting, running, and growing a business offers a much broader portfolio of skill sets than someone who has specialized in one thing. The difference is how you frame it. Some company may question whether a serial entrepreneur will be happy working for someone else, while others see it as indicative of commitment, hard work, ingenuity, and creative drive. Athletic Accomplishments. For the same reasons as the leadership examples cited above, athletic accomplishments show impressive work ethic, dedication, and commitment. A marathon runner is not someone who gives up easily in the face of challenges, nor will a varsity athlete shy away from collaboration and teamwork. International Experience. Someone who has lived and/or worked in other parts of the world understands the importance of cultural nuances. This can be important in managing diverse clients, team members, or working across geographic markets. The ability to speak to different cultures is a valued skill, even in a non-global role. A Specialization. I look at thousands of resumes a year, and it’s rare to see someone with a linear career and progressive job titles that make sense. So someone that has dedicated their career to a specialty and really developed themselves as a subject expert in that area strikes me as focused and impressive. The downside? It may limit you from broadening your search to other overlapping areas. The “golden trifecta” of a perfect candidate and exceptional resume means having an exact match of experience, skills, and training. However, don’t overlook the non-traditional things that can bring value to a team or organization. What makes you unique as a candidate, and as a person, and how can you weave that into your narrative alongside your other relevant qualifications? Get the help you need to stand out and get hired. Tags: branding, career, job descriptions, job search, job searching, personal branding, resume, resumes. Bookmark the permalink.